Groove Notes will periodically take a look at some “up and coming” jazz musicians who are making a splash on the scene in a series called Emerging Artists. I will begin this series looking at a young trombonist who is making a significant showing on the New York jazz scene. Since moving there eight years ago, Ryan Keberle has proven he is the real deal, not only as a trombonist, but also as a composer and educator. I was able to meet Ryan when we both attended school at Whitworth University in Spokane, Washington. While Whitworth is regularly noted as one of the best college jazz programs in the country, Ryan possessed the talent that would soon lead him to the Manhattan School of Music in New York, where he would study with master trombonist Steve Turre. It was Turre, or his absence, that brought Keberle to my attention once again. I will call myself the occasional Saturday Night Live viewer, and when I do manage to see the show, I tend to pay attention to the house band led by saxophonist Lenny Pickett (former bandleader of Tower of Power). I typically notice Steve Turre holding the trombone, easily spotted with his long black beard and sturdy frame. During my most recent viewing of the program, it was clearly not Turre on trombone. The young musician holding the trombone had a much slimmer build, no beard, and a head of hair far less tame than that of Turre. Further examination revealed the musician as Ryan Keberle, and I was pleasantly surprised. Upon researching what Keberle has done since his arrival in New York, being surprised to see him playing with one of the top television bands might be as unfair as defining him as “emerging”. He has, in fact, emerged, and while his name might not be household among jazz trombone fans, it is in my opinion simply a matter of time. Keberle is doing what all young musicians need to do: work. In fact he is working a lot, performing as a member of roughly 15 New York based ensembles, including the Maria Schneider Orchestra. Additionally his website notes performances or recordings with Wynton Marsalis and the Lincoln Center Jazz Orchestra, Frank Wess, Jimmy Heath, Slide Hampton, Charles McPherson, the late Percy Heath, Teo Macero, Joe Lovano, Eric Reed, Ivan Lins, Jon Hendricks, Madeline Peyroux, and Alicia Keys among others, and is the regular trombonist for the broadway musical, “In the Heights”. 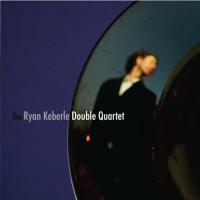 Keberle released his debut album, The Ryan Keberle Double Quartet, in April of 2007. The album was a very unique concept, virtually molding two quartets (quartet one consisting of trombone, piano, bass, and drums, and a second brass quartet of trumpet, french horn, trombone, and tuba) into one fantastic sounding group. Great reviews followed, including reviews from the New York Times and Inside Connection. Keberle recently returned home to Spokane to perform once again with the Whitworth Jazz Ensemble I, this time however, as the featured guest artist. Previous featured guests have included the likes of Gene Harris, Randy Brecker, Eric Reed, and Nicholas Payton, just to name a few. Additionally, Ryan was selected as one of ten finalists for the Thelonious Monk International Jazz Trombone Competition. He also plays a role in jazz education, as he began his tenure as a visiting professor in 2004 at City University’s Hunter College. Things look bright for Ryan Keberle, and the future only looks bigger and brighter for a musician who’s talents and capabilities continue to grow. Well it all comes down to this. The musicians are in place. All that they wait for now is some direction. If you haven’t read any of the previous “Dream Big Band” blogs, let me fill you in. Over the last couple of weeks I’ve pieced together my own personal dream big band, section by section. Five trumpets, four trombones, five saxes, guitar, bass, piano, drums, male vocalist, and female vocalist. The only criteria for musicians to make this band is that I personally would want to see these people up on stage, all together, at one time. Alive or dead, it doesn’t matter. LET ME REPEAT: this is not a “Top 10” or “Best Ever” list. It is simply who I would get the most joy out of seeing on stage at the same time. While I have received lots of positive comments on the band, I have also heard from others who disagree with some of my selections. I completely encourage everyone to share who they might like to see in their own dream big band…in fact I would enjoy it. The wonderful thing about jazz is that there has been so many great musicians that there is no way that one persons dream band would look the same as another persons band. If one legend of jazz is not selected, it should not be considered a slap in a face to the legacy of that musician. Just a personal preference. That is exactly what makes this project fun and interesting, as opposed to trying to make it an exact science. And I hope it has encouraged you to think about your dream big band, and who might participate in it. And again, thanks so much for your feedback. I probably pick, and then scratched of the list a dozen or so leaders, and more or less for all the same reason. If they were the band leader, as legendary as they might be, would the band sound original, or would it sound just like the band of that leader? For example, if I picked Count Basie, would it just be the Basie Band with a bunch of charts by Nestico and Hefti? Same thing if I picked Duke Ellington or Benny Goodman. If I pick Glenn Miller, is this all-star band limited to playing charts from the late 30’s to early 40’s like Tuxedo Junction or In the Mood? Buddy Rich might be a reasonable option, but there is always the chance that he would fire the entire band on the tour bus before it showed up to the show (because, well, it has happened before). Did anyone see that one coming? Sure, laugh, but how much fun would that be? And don’t think that Doc doesn’t have his credentials in order. Severinsen was likely the best know band leader and trumpet player in America for 25 years, heading up the band for Johnny Carson on the Tonight Show, widely considered one of the best big band jobs ever. He’s recorded nearly every type of music, making him extremely versatile. Doc’s experience with big bands is far from limited to television. Dating back to 1945, Doc was a featured musician with bands headed up by Tommy Dorsey, Charlie Barnet, Benny Goodman, and Noro Morales, while also backing the likes of Dinah Washington and Anita O’ Day. His album sales as a big band leader and as a small group leader have all proven well, including a Grammy win in the big band category. Bands he directed contained members with a vast background of big band experience, including Conte Candoli (Woody Herman, Stan Kenton), Snooky Young (Jimmy Lunceford, Count Basie, Lionel Hampton, Thad Jones/Mel Lewis), Ed Shaughnessy (Charles Mingus, Benny Goodman), Ernie Watts (Buddy Rich, Oliver Nelson), Bill Perkins (Woody Herman, Stan Kenton), and Ross Tompkins (Benny Goodman). And finally, Doc is a whole lot of fun. A flashy, bright (be it a tad tacky) wardrobe and sense of humor would make him a great leader for this or any band. Add the fact that he is a true trumpet virtuoso, it would be fun to see him pick up the horn and play a solo too. I’ll just mention that he also recorded with Cab Calloway, Lena Horne, Gene Krupa, Chris Connor, Tito Puente, Toshiko Akiyoshi, Ruth Brown, Bob Brookmeyer, Gil Evans, Dizzy Gillespie, Jimmy Smith, Stan Getz, Milt Jackson, Mundell Lowe, Billy Taylor, and Tony Bennett. My band leader needs to have the ability to direct a top notch band with creative arrangements, entertain the audience between songs, and wear a flashy outfit. Doc has that all covered, and then some. So that is the band. 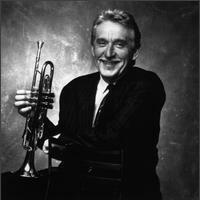 Check out videos from Doc Severinsen below, and look see a layout of the entire band. And dont forget to let me know who you would like to see in your band! So the instrumentalists are all in place. Trumpets? Check. Trombones? Check. Saxes? Check. Rhythm section? Check. My dream big band is nearing completion. This band could hit the imaginary road right now, entertaining crowds around the world. But we are still missing a few key elements. A bandleader, for starters. Also, a couple guest vocalists. One male and one female guest vocalists, to be exact. You will be introduced to my bandleader in part VI, and I can not only promise you that you will never guess who it is, but you will not believe who I picked once you see it. That’s the wonderful thing about this being MY dream big band. I can put Michael Brecker in the lead tenor chair, have an electric bass player, and have Miles Davis playing the fourth part. This band is a band that I would want to see on stage. Whether or not they would be the tightest group as a whole is one thing, but to see all these people together would give me more joy than any other group. That being said, be kind when you see my bandleader in the next part. And now, our two guest vocalists. I really wanted a couple of vocalists with some soul. These band members can be less versatile as far as style goes, since they aren’t going to be performing on every song like the rest of the band. They can focus on their own style on the few featured songs they would be performing on. I can’t sit here and tell you that Carmen is a better singer than Billie Holiday, Ella Fitzgerald, Sarah Vaughan, or Dinah Washington. I can simply tell you that hearing Carmen sing, in her prime, would create a bigger smile on my face than hearing the rest of them combined. She could sing a wonderful ballad, and then sing something wonderfully fun. 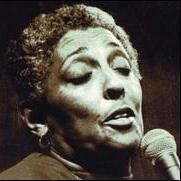 I always found a certain earthy warmth in her voice that was ultimately enjoyable. OK, so alot of Lou’s fame has come as an R & B singer. But its the R & B and Gospel influence that I feel makes his jazz performances that much more unique. Like Carmen, Lou is great on the ballads with that baritone voice, but could also sing music that would make anyone smile. Great stuff with Benny Carter and his big band in the 1960’s up until he passed away. So the band is nearly complete. All thats left is a bandleader…coming up next. And you will be shocked! And as always, let me know who you would like to see in your dream big band! 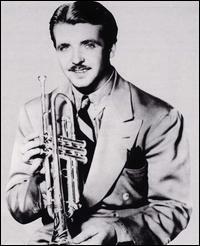 Today, November 2nd, marks the 100th anniversary of the birth of trumpet legend Bunny Berigan. If his name doesn’t quite ring a bell the same way hearing Louis Armstrong does, it certainly isn’t due to his lack of talent. Unfortunately, Bunny’s career was relatively short, spanning the better part of the thirties. 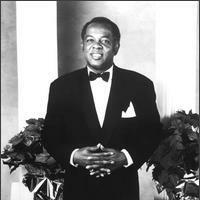 In fact, it was widely believed that Louis Armstrong was simply competition for Bunny, but never considered better than or equal to. Moreover, it was said that Armstrong refused to perform Berigan’s biggest hit, I Can’t Get Started (still a massive jazz standard today), because “it was Bunny’s Tune”, and no one could play it as well. Unfortunately, and not unlike Charlie Parker, Berigan died in his early thirties, looking twice his age, accelerated by substance abuse. While Parker’s vice was heroin, Bunny Berigan was a victim of the bottle, and ended up drinking himself to death. While an argument can and has been made that both Berigan and Parker were the best at their instrument during the time of their career, Parker had the opportunity to help define the bebop era. One can only wish to have seen what Berigan might have contributed to bop had he been around. Bunny Berigan made a name for himself in just about every group he played with, which is why he was in such high demand. Berigan spent a decent chunk of the early 30’s with Fred Rich’s orchestra, cranking out great trumpet solos, and singing, when he had to. Most notably was his time spent with Benny Goodman, where his performances on works like King Porter Stomp and Sometimes I’m Happy helped make them huge hits. Berigan also spent time with Glenn Miller’s band and worked with Billie Holiday and Tommy Dorsey, where he was hugely responsible for the hits Songs of India and Marie. To this day, Bunny Berigan box sets of recordings are still in demand, and typically receives wonderful reviews. In addition, the tiny town of Fox Lake, Wisconsin, where Berigan was raised, celebrates the musician annually each May with a three day festival. It is always easy to speculate what role a musician might have played had he or she lived longer, but with Bunny’s great range, tone, and overall ability, one can safely assume that he would have easily made even more contributions to future eras and styles of jazz. Below is an extremely rare video clip of Bunny Berigan singing and playing Until Today with the Freddie Rich band in 1936.